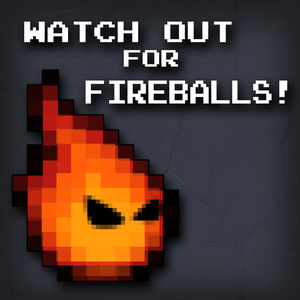 We're in the thick of getting ready for October's Resident Evil Month (which will bring RE3: Nemesis, RE: Code Veronica, and RE7: biohazard), but we also have an exciting announcement about what November will bring for Watch Out for Fireballs! This will be our first WOFF 2.0 month without a theme, so it's a grab bag of titles from different genres and eras. First, we will be covering Transistor, the sophomore effort from SuperGiant games (of Bastion fame). It's a beautiful game with a unique combat system that combines real time action with turn-based planning. This episode is executive produced by our Patreon backer Jon C. Bird. Second, we're playing Thimbleweed Park, the spiritual successor to Maniac Mansion, lovingly created by Ron Gilbert and Gary Winnick. It's a throwback to one of our favorite games, and we're really excited to dig into it. Finally, our 175th episode will be about the SNES classic Actraiser. It's Quintet's debut game, and it combines Castlevania platforming with a god-game framework. This game won our "Console Wars" poll, and it's a fitting choice for such a big round number like 175. We hope you're looking forward to these episodes. If you have any thoughts on any of these three games, please submit them to our contact form by November 15.